Protection, Beauty, & One-Stop Shopping — We've Got It All! Unlike many other South Florida window companies, our window contractor is on the premises and always available to oversee your project. And, at , we have our own in-house high rise window design professionals ready to meet with you! Our company listens carefully to our customers and plans and designs your project every step of the way. *Most insurance companies offer premium discounts for installing new hurricane/impact windows. ' hurricane/impact windows are specially tested to withstand forced entry. In addition, they provide year 'round storm and hurricane protection, as well as heat and sound reduction. Take advantage of our VIP Service! At , all project permits are obtained through local building officials. We take your project from start to completion quickly. That is why we have been the leaders in the South Florida window and door industry since 1998! is fully licensed and insured. 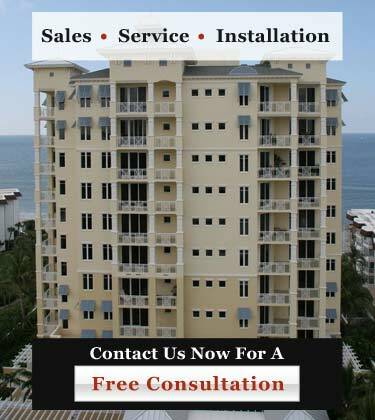 We are your one-stop-shop for quality hurricane resistant and hurricane impact windows for high rise buildings and condominiums in South Florida. Call us at 954-714-6800 or contact us online now for an in-depth consultation on your window or door project.